A very happy, healthy and peaceful New Year to everyone! Terrible news from Volgograd- here's an interview with me on RT on the bomb attacks of the last two days & how the western powers need to show a more consistent approach to terrorism. .....MacShane, like Khodorkovsky, escapes the opprobrium he deserves because his crimes are financial and he has the "right" set of views. He’s fanatically pro-EU, a pro-war Blairite neocon who has supported every US-led ‘intervention’ going in the last twenty-odd years, and he is an enthusiast for globalization. He was anti-Chavez, strongly pro-Israel, and anti-Russian. He championed the cause of Georgia under Saakashvili and only last week called on Prime Minister David Cameron to boycott the Sochi Olympics. He railed against what he called ‘manic populism’, but what others would call the wishes of ordinary people for politicians to carry out policies which the majority support. A classic A Christmas Carol & a very Merry Christmas! Above you can watch Richard Williams' wonderfully atmospheric 1971 animated version of A Christmas Carol, with narration by Michael Redgrave, and voices including Alistair Sim and Michael Hordern. A real classic - and what an intro! This piece of mine appears in today's Daily Express. She is the woman who has made millions of Britons laugh with her old-fashioned slapstick humour and gawky charm. 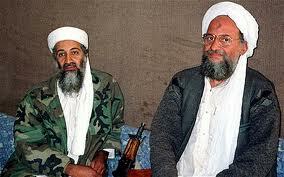 But as Miranda Hart revealed in an interview on Desert Island Discs it hasn't all been plain sailing. The popular comedian and television star admitted she found it tough at the top. "I think it got to a point a year ago possibly when it was all a bit too much," she said. "It was quite lonely and I was struggling." Hart's problems should not surprise us. Many of our greatest comics have struggled with the pressure of trying to make us laugh and many have battled with depression and other mental illnesses. Why did Putin pardon Khodorkovsky? RT.com news report on the oligarch's release, featuring interview with me, (starting at 11 minutes) above. My new column for RT.com OpEdge. The decision by the US to carry on with its missile defense system in Eastern Europe despite last month’s historic nuclear deal with Tehran reveals to us the true anti-Russian agenda behind the plan. Well, at least it’s clear to everyone now that it had nothing to do with the “threat” from Iran, though just a few years ago the US administration stated quite to the contrary. This new piece of mine appears in The Guardian. "The holiday starts here. And to put you in party mood some of your favourite comedians bring the spirit of pantomime to these pages. Mike Yarwood, on our cover, opens the festivities, followed by a host of BBC TV comedians – Michael Crawford, Ronnies Corbett and Barker, John Inman, Larry Grayson (with Isla St Clair, of course), Little and Large, and last, but not least, a villainous Peter Cook." And so begins the bumper 118-page edition of the Christmas and New Year Radio Times for 1978. The 26-page guide to BBC television and radio for 23 December 1978 to 5 January 1979 is more than just a list of programmes: it's a fascinating historical document, revealing much about the country we were that last Christmas before Thatcherism arrived and changed everything. Western elites love student protesters. 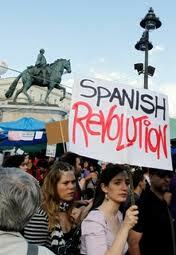 That is, when they’re protesting in countries whose governments the West would like to see toppled. But they’re not so fond of it in their own countries. We saw a classic example of this in Britain this week. A new interview with me on RT on the disturbances in the Ukraine. By supporting protesters in Ukraine while previously ignoring huge last year protests in Turkey and Spain, EU officials have revealed that for them some protesters are more equal than others, journalist Neil Clark told RT. You can watch and read the interview here. Was Lord Lucan killed by a hitman? My new piece in The Daily Express. AS a new TV drama tells the story of the murder that caused the missing peer to flee, a baronet who moved in the same high society gambling circles makes a startling claim. It was, in the words of one writer, as if Upstairs Downstairs had been reshot by Alfred Hitchcock. The mysterious murder of 29-year-old nanny Sandra Rivett, bludgeoned to death in the basement kitchen of the London home of Lady Lucan on November 7 1974, the attack on Lady Lucan that same evening and the disappearance of the prime suspect, the latter's estranged husband Lord Lucan, dominated the headlines at the time. It continues to fascinate us almost 40 years later, as shown by a new two-part drama series on the case starting this week on ITV1. Various theories have been put forward as to what really happened on that fateful evening in Belgravia but the most sensational of all comes from Sir Rupert Mackeson, an Old Harrovian baronet and member of the brewing dynasty who was on the fringe of the high society gambling Clermont Set of which Lord Lucan was a member. My Intelligent Punter's Guide to the 2014 World Cup draw from The Week. BEFORE yesterday's draw for the 2014 World Cup groups, England manager Roy Hodgson said he would put a tenner on his team to win next summer's tournament. Should we follow his example - or does England's tough draw against Italy, Uruguay and Costa Rica in Group D rule them out of even making it through to the last-16 knockout stage? There are three key statistics we should bear in mind before betting on the outcome of the World Cup. Over the last 30 years or so, we’ve witnessed a massive rise in inequality in Britain and in other countries across the world as neo-liberal economic policies replaced the more collectivist social democratic ones which dominated in 1950s, ’60s and ’70s. Publicly-owned assets have been privatized, state provision cut back and extraordinarily generous tax cuts have been given to the rich. In the US, the top 1 percent saw income growth of 31 percent between 2009-12- compared to growth of less than 1 percent for the bottom 90 percent. A 2011 report of the OECD found that the income share of the top 1 percent in Britain had more than doubled in the period 1970 to 2005. Austerity? If you’re one of the 1 percent things have never been so good. In 2012, the world’s richest 100 people increased their wealth by $241 billion. My new piece for The Guardian's Comment is Free. Well, at least we beat Mexico. The new OECD report on pensions reveals that for people on average earnings, Britain's state pension is the least generous of all the 34 OECD members bar one. The average Briton's state pension replaces 32.6% of their income when they retire. Our state pension isn't just stingy compared with other prosperous western European countries. The governments of Hungary, Slovakia, Slovenia all give their pensioners more, as does Turkey. What an indictment of neoliberal Britain. We have the lowest state pension of any major country in Europe and also the highest rail fares. The country that comes top, or near the top, in tables where it's better to come bottom, we also come bottom, or near the bottom, in tables where it's better to come top. So begins the theme song for the classic television comedy series Are You Being Served? currently being repeated on BBC2 on weekday afternoons. The popular sitcom takes us back to the Seventies and life in the fictional Grace Brothers emporium. But for a more modern view of department stores there is a new series called Liberty Of London which begins on Monday and which shows the staff of the famous shop preparing for Christmas. Meanwhile the Sunday night drama series Mr Selfridge and The Paradise, both set in stores of yesteryear, have proved to be big hits with audiences. But while such retail enterprises are thriving in television schedules, in real life it's a different story. Many have closed in recent years as our shopping habits have changed. One thing’s for sure: if you live in the US or Western Europe, and haven’t spent the last three days locked in a wardrobe, you’re probably well aware that protests against the Ukrainian government have been taking place in Kiev. New interview with me on RT on Ukraine's lucky escape. My new column for RT OpEdge on how a 61-year-old nun has become Public Enemy Number One for the serial warmongers. Just when you thought the ‘liberal interventionists’ and neo-cons couldn’t stoop any lower, they just have. The ‘pro-free speech’ but actually very anti-free speech bullies have got a new target. A 61-year old nun called Mother Agnes-Mariam who has been living in Syria for twenty years and who runs a campaign called Mussahala (Reconciliation). For the West‘s ‘liberal hawks’ and serial interventionists, this elderly lady, who is working tirelessly for peace and an end to the bloodshed in Syria, has become Public Enemy Number One. Mother Agnes has been subject to a vicious internet campaign of character assassination, smears and defamation. We’ve been told that she is an ‘Assad apologist,’ ‘Assad‘s favourite nun’- she has even been called ‘the Syrian equivalent of one of Hitler’s brown priests’. When the 'liberal' hawks and serial warmongers saw that Mother Agnes had been invited to speak at the forthcoming international conference of Stop the War, they had a collective hissy fit. My new piece for RT.com OpEdge on the biggest conspiracy theorists of them all. For a long time elite establishment gatekeepers in the West have scoffed at that those who claim Palestinian leader Yasser Arafat was poisoned. As to those who claimed he was poisoned by Israel - well-of course they're crazy conspiracy theorists! Yet these same people who ridiculed the idea of Arafat’s poisoning are, by and large, the same people who assert, without any shadow of a doubt, that the murdered spy Aleksandr Litvinenko was poisoned by the Russian authorities in London in 2006. Now we still don't know for sure that Arafat was poisoned, or that Israel was responsible, but after last week’s news that Swiss scientists have found levels of polonium-210 18 times higher than normal in his exhumed body, it is much harder for these elite gatekeepers to haughtily dismiss as ‘cranks’ those who maintain that Arafat was murdered. What the Litvinenko and Arafat cases show us is that there are officially 'approved' conspiracy theories and those which do not receive official approval. On this link, you can listen to an interview with me on BBC Radio Wales on Tony McCoy's truly remarkable achievement, starting at about 2hrs21mins. The only surprising thing about the news that the US is sabotaging peace moves in Afghanistan and Pakistan is that anyone should find the news surprising…. The fact is that on several important occasions in the last 30 years or so, the US has wrecked peace efforts and used its power to provoke or prolong conflicts which could have been avoided or solved without further bloodshed. New piece of mine from the Daily Express. HE WAS one of the first artists to take country music out of the US and give it a global appeal. In some parts of the world the Texan crooner “Gentleman” Jim Reeves – renowned for his pleasant persona and wonderfully smooth, soothing voice – became even more popular than Elvis Presley. Even his tragic early death at 40 in a light aeroplane crash didn’t halt his chart success, as a radio documentary presented by Sir Terry Wogan reveals. Reeves went on to register No 1 hits from beyond the grave. This new piece of mine appears in the Daily Express. ALMOST 70 years after it was sent the telegram from British commander Major-General Roy Urquhart confirming that the Battle of Arnhem was lost has come to light. The historic message, in which Urquhart says his men are exhausted and cannot continue without urgent military assistance, was stuck on a piece of card with a signed photograph of Field Marshal Montgomery on the reverse and kept in the archive of Monty’s adjutant Captain Noel Chavasse. Chavasse’s daughter has put the document up for auction in Marlow, Buckinghamshire next week and it has a pre-sale estimate of £400. My new piece over at The Guardian's Comment is Free website. 'US aims to destroy all independently minded countries in the Middle East'. New RT interview with me on the latest bombings in Iraq and why responsibility for the destruction of Iraq as a functioning country lies with the illegal invaders of 2003. My new piece over at RT.com OpEdge. Like the curious incident of the dog that didn’t bark in the nighttime in the classic Sherlock Holmes story Silver Blaze, the most revealing thing about the latest NSA spying revelations which made world headlines last week was the non-barking of the UK. My new piece for RT OpEdge. The issue of rocketing gas and electricity bills in the UK highlights the massive disconnect that exists between Britain’s well-heeled, neo-liberal political elite and ordinary people. For ordinary Britons, rising energy bills – and the adverse impact that profiteering by the “Big Six” energy companies has had on our standard of living – is THE big issue of the day. 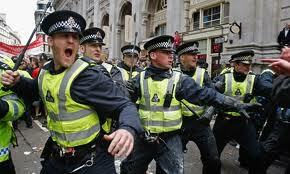 It’s the issue that people are talking about in pubs and cafes, and it’s the issue that people want urgent action on. But our ruling elite have spent most of 2013 focusing not on energy prices - and how to bring them down, but on trying to topple the government in faraway Syria - and in privatizing the few remaining parts of the economy that are still in public ownership. This new piece of mine appears over at RT OpEdge. It’s interesting to see which country UK ruling right-wing, anti-communist and anti-socialist elite are desperate to get to ‘invest’ in Britain: The People’s Republic of China. That’s right - the country ruled by the Communist Party since 1949. You can read the whole of the piece, on the glaring double standards of the UK's ruling elite, here. It’s the wilful destruction of another much-loved British institution. The privatisation of the Royal Mail, the British postal service, brings to an end nearly five hundred years of history- stretching back the days of King Henry VIII. By privatising the Royal Mail, our coalition government has shown that it does not care a jot for our national heritage, or the devastating impact the sell-off will have on remote rural communities, or how the elderly and the poor will be disproportionately affected. They have shown us that all they care about is rewarding their wealthy backers in the City of London and keeping in with the giants of global capitalism. Me on the shameful sell-off of the Royal Mail. You can read the whole article, over at RT.com OpEdge. Latest interview with me on RT. An increase in crime in Libya, a destroyed economy, and the lack of political control over different tribes makes Libya worse off than 2 years ago, as October marks the death of Colonel Gaddafi, journalist Neil Clark has told RT. Libyan Prime Minister Ali Zeidan spent several hours in captivity on Thursday after a 'former rebel' militia kidnapped him from a Tripoli hotel in retaliation for his apparent cooperation with a US anti-terror raid. The event, Clark argues, highlights the complete chaos that exits in Libya since the 2011 Western intervention. This piece of mine appears in the Morning Star. One of the funniest moments in the hilarious Blackadder Goes Forth series was when our heroes are reminiscing about their time in the first world war trenches before the going "over the top" in the final "big push." "I mean, we've had some good times. We've had damnably good laughs, eh?" says the silly-arse public schoolboy George (played by Hugh Laurie). "Yes. Can't think of any specific ones, myself..." replies Captain Blackadder. I was reminded of that classic exchange when reading the article on Labour's policy towards the privatisation of the Royal Mail by shadow business secretary Chuka Umunna, published on the Huffington Post website. This piece of mine on the great comedy duo appears in the Daily Express. Above you can enjoy some classic Pete and Dud. PETER COOK and Dudley Moore were unlikely comic partners. Cook was a middle-class public schoolboy from Torquay whose father was a colonial administrator in Nigeria. Moore was brought up on a council estate in Dagenham, his father was an electrician, his mother a typist. Moore was born with a withered leg and a club foot and his mother's reaction on being introduced to baby Dudley was: "This isn't my child. I don't want him. Take him away." He was bullied at school on account of his deformities. Exactly forty years ago today, the actor Dennis Price, star of that wonderful black comedy Kind Hearts and Coronets, died at the age of 58. Here's my 2007 tribute piece from the Sunday Express. A timely re-post of my piece on Professor Harold Laski, published in the New Statesman earlier this year. During the 2010 Labour leadership campaign, much was written of the influence of Ralph Miliband, the brilliant Marxist academic and father of two rivals for the job of leader, Ed and David. Yet what of the man who influenced Ralph Miliband? This new piece of mine appears over at RT's OpEdge. Another day and yet more death and destruction in the Middle East country. The latest violence has killed at least 54 people and injured over 100 others. In July, over 1,000 people were killed and over 2,300 wounded. You probably think I’m talking about Syria. But I’m not. I’m talking about Iraq. The country that George W. Bush and Tony Blair 'liberated’ in 2003. You can listen to a Voice of Russia ‘Agree of Disagree’ debate between me & Andrew Hardisty on the future of the US/UK alliance here. This interview of mine with the great comedy writer Jimmy Perry, who is 90 today, is in the Daily Telegraph. Is there anyone living in Britain today who has contributed more to our Gross National Happiness than Jimmy Perry? This is the man who not only created and co-wrote the nation’s best loved and most enduring comedy series, Dad’s Army, but who also, along with his writing partnerDavid Croft, gave us two other hugely popular shows, It Ain’t Half Hot Mum and Hi De Hi! as well as the witty Upstairs, Downstairs pastiche You Rang, M’Lord? I've also got another piece on the great Jimmy Perry in today's Daily Express. This piece of mine appears over at The Week. THE first group stages of the Champions League begin on Tuesday 17 September. There are eight groups each consisting of four teams and the top two in each group will go through to the last 16. Last year the competition was full of surprises, with Bayern Munich beating Borussia Dortmund 2-1 in an all-German final, after the two Bundesliga teams had knocked out their better-fancied Spanish opponents, Real Madrid and Barcelona in the semis. Did we witness a power-shift in European football, or was it just a one-off? Which teams are the best bets in this year's competition? You can read the whole guide here. Good luck with your selections! Discussing with Lembit Opik on why today's UK political elite is so bland, and why we need more MPs like George Galloway in Parliament,on the Stephen Nolan Show on BBC Radio5 Live, here. (item starts at 51 mins). Here's my new column for RT's OpEdge. The issue of Syria has demonstrated the massive gap that has opened up between the elite and ordinary people in both the US and Britain. Poll after poll after poll shows very large majorities against strikes on Syria. People are war-weary, and the last thing they want is for their countries to become embroiled in another Middle-East war. One Congressman in the US tweeted earlier this week that he had asked 200 people if they supported strikes on Syria and only four said 'Yes'- that's just 2 percent. Another said that 99 percent of calls to his office were against military action. Let's get one thing straight: the only people who are keen on war with Syria in the US and UK are the elites. Ordinary people on both sides of the Atlantic want absolutely nothing to do with it. This piece of mine appears in The Guardian. Who doesn't like to be beside the seaside? Who doesn't love the first glimpse of sun sparkling on bright, blue-green waves, a salt tang in the air?" Around Britain's Seaside, published by the AA in 1979, described itself as an "exciting new publication", a "guide to the resorts of Britain from the larger and most popular to the smaller, hidden-away spots", including descriptions of "where to eat, places to see, what's on and where, plus town plans". I paid £1.50 for a secondhand copy a few years back and have never regretted the purchase. The book provides a window into a very different world: the last summer before Thatcherism kicked in and transformed everything – including the AA and the British seaside holiday. This new piece of mine appears over at OpEdge, on the RT website. The MP’s vote against military intervention in Syria marked a wonderful day for democracy in Britain, because at long last, the Parliament listened to public opinion and voted accordingly, casting a huge blow to the powerful British neo-con clique. In the great anti-war film All Quiet on the Western Front there's a wonderful scene when Paul, on leave from the front, returns to his old school where his warmongering teacher and arch-hypocrite Kantorek is still urging his pupils to enlist, despite not volunteering himself. To Kantorek's horror Paul launches an anti-war tirade, and turns on his old teacher. 'He tells you go out and die, but it’s easier to say go out and die than it is to do it and it’s easier to say it than to watch it happen'. I thought of that powerful scene this morning when I heard the news that the British Parliament had voted against military action against Syria. This new piece of mine appears in The Sunday Express. IT STARTED with a chicken drumstick. I was chewing away quite happily on a bone dipped in delicious barbecue sauce when, oh dear, my upper right tooth cracked and bits started coming out. It wasn’t in the best of shape beforehand but it was the bone that delivered the killer blow. A sharp piece of tooth remained, digging into the inside of my cheek. It was all very painful, even after taking paracetamol. So what to do? IT WAS the independent British film company with a difference. A collaboration between a member of the most famous pop group of all time and "six of the finest British comics since the Goons", HandMade Films came into being in 1978 when Beatle George Harrison decided to finance the work of his heroes Monty Python. 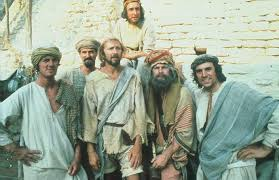 Harrison stepped in to rescue the Pythons' controversial film mocking organised religion, Life Of Brian, when EMI backed out. Robert Sellers's new book Very Naughty Boys, named after the famous lines in Life Of Brian, "He's not the Messiah he's a very naughty boy", tells the amazing true story of George Harrison's film company. HandMade Films made some of the most iconic British movies of the Eighties but what started as a goodhumoured venture ended in tears, recrimination and expensive lawsuits. It is a tale of excess, outrageous behaviour, duplicity and betrayal and the egos and eccentricities of some of the biggest celebrities of the age. WE CALL it the Premier League but it's really four leagues in one. There's the title race, which usually involves no more than three teams at most. There's the race for the remaining Champions League and Europa League places, which usually involves a further four or five teams. There's the battle to stay up, which usually involves six or seven teams, and then there's the middle order – sides that aren't strong enough to challenge for Europe, but are too good to go down. You can read the whole of my Intelligent Punter's Guide to the 2013-14 Premier League, including a discussion of the prospects of all 20 teams, here. This piece of mine appears over at The Guardian's Comment is Free website. The 50th anniversary of the Great Train Robbery of August 1963 has been marked with a plethora of articles and the publication of new books. But why all the fuss, because the reality is that we're living through a Great Train Robbery which makes the activities of Ronnie Biggs and Co look insignificant. While Biggs and his gang only got away with £2.6m, the privatised train companies have (perfectly legally it must be said) taken billions from the public purse since 1996 – and have had the chutzpah to also charge us the highest rail fares in Europe. Above you can watch an extract from a new interview with me on RT questioning why Stephen Fry is focusing on Russia, and not on the many countries which have a far worse record on gay rights. IT'S TIME for the fourth and final golfing Major of the year. This year's USPGA championship is being held for the third time on the East Course at the Oak Hill Country Club, Rochester, New York, where a field of 156 will tee off today. Finding the winner is a daunting task, but if we keep in mind certain key factors, we can narrow down the field to those worth an each-way bet. You can read the whole of my IP Guide to the USPGA championship, here. Good luck with your selections! 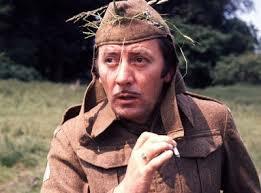 On 6 August 1973, James Beck, who played the Cockney spiv Private Walker in Dad’s Army, died at the age of 44. Ironically, he was the first member of the predominantly elderly ensemble to die. A highly accomplished actor, it seemed that he was set for a successful career as a character player. However, an addiction to alcohol cost him his life. Another week of murder and mayhem in Iraq, the country which the US-led 'coalition' 'liberated' in 2003. Over 700 people have been killed in Iraq so far this month-(over 1,000 were killed in May)- yet for the neocons and 'liberal interventionists' who egged on the illegal invasion of 2003, this is not news. The neocons couldn't stop talking about Iraq in the lead-up to the war, about how Saddam Hussein possessed 'WMDs' and of the ' links' he had with al-Qaeda; now they never mention Iraq. I wonder why? Above you can watch a new interview with me on RT on the latest situation in Iraq and why Bush, Blair and the neocons must be held responsible for the carnage which has gone on there since the invasion of 2003. You can read a new interview with me on Al-Qaeda, Syria and western policy, over at RT OpEdge. PICKING the winner of this week's British Open at Muirfield is tricky - but if we take into account certain key factors before making our betting selections, we can tilt the percentages in our favour.You can read the whole of my Intelligent Punter's Guide to the Open, here. Good luck with your selections! Is privatisation always a rip-off? You can listen to a radio debate on this topic between me and Steve Davis of the IEA on the Adrian Goldberg Show on BBCWM, at the link here. The item starts at 1hr 35mins in to the programme. Above you can watch a new interview with me on RT. More on this debate here. Above you can watch an interview with me on RT on the biggest anti-government protests in history. More on this story here. MEN ON bikes. Lots of them. In France. This year marks the 100th Tour de France, the world's most famous cycle race. To make things more interesting as you watch the action on TV with Kraftwerk playing in the background, why not have a bet on the event? You can read the whole of my Intelligent Punter's Guide to the 2013 Tour, over at The Week. ANYONE for tennis? Unlike the golfing Majors, where almost no-one from a huge entry field can be discounted, tennis Grand Slams are rather more predictable. Although 128 players will be taking part in both the men's and women's singles at Wimbledon, only a handful of players can entertain realistic hopes of victory. You can read the whole of my Guide to this year's Wimbledon over at The Week. Still three days of the meeting to go so I hope this Intelligent Punter's Guide helps you with your selections. 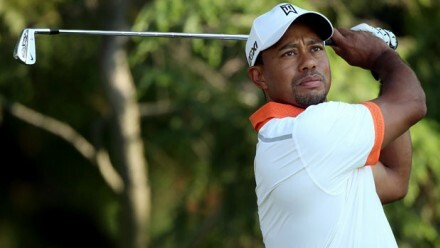 156 golfers tee off today in the US Open at Merion: which of them are worth backing to win it? You can read my Guide to the US Open here. Good luck with your selections! Above you can watch a new interview with me on RT on why western criticism of Erdogan's brutal clampdown on protestors in Turkey has all been rather muted. More on this story here. This new piece of mine appears over at the RT Op-Edge website. 'The ABC Murders' comes to my mind every time I think of Libya and Syria and the ‘Arab Spring.’ When do you notice an individual 'regime change' least? Answer: When it is in a series of 'regime changes'. "When do you notice a pin least? When it is in a pin cushion! When do you notice an individual murder least? When it is one of a series of related murders". 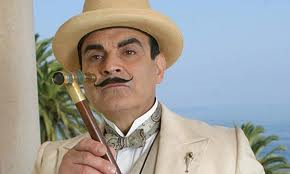 So declares the great Belgian detective Hercule Poirot as he unveils the murderer in Agatha Christie's classic mystery 'The ABC Murders'. Above you can watch an interview with me on RT on the UK's neo-con government's policies towards Syria. The bully boys of Britain and France got the EU to end their arms embargo-opening the way for direct supplies of arms to 'rebel' groups. More on this story here. It all started in July 2001 when two men, concerned about bias in the corporate news media in the UK, began to send out “media alerts” to a small number of family and friends. Twelve years on and Media Lens—the brainchild of writer David Edwards, a former manager in sales and marketing, and David Cromwell, a physicist by background—has established itself as the UK’s media watchdog. There’s no doubting the impact they have made. “Without their meticulous and humane analysis, the full gravity of the debacles of Iraq and Afghanistan might have been consigned to bad journalism’s first draft of bad history,” is the verdict of veteran reporter and filmmaker John Pilger. Above you can watch an interview with me on RT on the growing protests in Turkey against the Turkish government's stance towards Syria. More on this story here. Just a few hours to go before this year's Eurovision. Here's my Intelligent Punter's guide to this year's contest from The Week. Yes, it’s that time of the year again. Time to put our Euro-scepticism on hold and watch as twenty six European nations- well twenty-six nations that are the part of European Broadcasting Network- compete to see who can win the annual Eurovision Song Contest. To help you enjoy Saturday evening’s proceedings even more, why not have a few bets on the event? Backing the winner of a 26 runner race might seem a daunting prospect but Eurovision is not the punter’s minefield it might first appear. On the subject of Eurovision, here's my piece from the Daily Express on UK contestant Bonnie Tyler, rock's comeback queen. This new piece of mine on Syria appears over at OpEdge on the RT website. The prospects of a peaceful solution to the Syrian crisis is still a long way off. We won’t get an end to the violence until the foreign powers who have been fuelling the conflict, the US included, radically change their policies towards the country. This article of mine appears in the Sunday Express. THERE have been quite a few theories put forward to explain the extraordinary success of Sir Alex Ferguson, the legendary manager of Manchester United who finally announced his retirement last week. One point which has generally been overlooked is that Fergie, now 71, already had 12 years of football management under his belt before he was crowned Old Trafford supremo in 1986. His road to greatness began at lowly Scottish club East Stirlingshire in 1974. He then managed St Mirren and Aberdeen, and even had a spell managing Scotland before Man United called. Ferguson's career reminds us that 30 years ago you didn't get the top jobs unless you had served a long apprenticeship… and it wasn't just football managers that this applied to. THEY were for a long time among the forgotten heroes of the Second World War. The Bevin Boys was the name given to the 48,000 or so young men aged between 18 and 25 who were conscripted by the government to work down the mines during the period 1943-48. The part they played in the war effort was not officially honoured until 2007 when the government announced that they would be awarded a Veterans Badge. But this week there was further recognition of their important role when the Countess of Wessex unveiled a memorial, designed by former Bevin Boy Harry Parkes, at the National Memorial Arboretum in Staffordshire. JOHN GEORGE HAIGH, the Acid Bath Murderer, was confident he would not be found guilty of killing Olive Durand- Deacon because the police would never find her body. How can you prove murder if there is no body?” he boasted. But the serial killer had reckoned without Home Office pathologist Dr Keith Simpson. You can read the whole article here. And if in the UK, don't miss 'Murder on the Home Front', at 9pm on ITV on Thursday. Just imagine if Lionel Messi, having scored five goals for Barcelona in a match in the Champions League, announced in a press conference afterwards that playing football was not something he really wanted to do and he was quitting the sport? Or if jockey Frankie Dettori, having ridden all seven winners at Ascot, had said he was only riding to pay his children's school fees? People would find it very hard to understand how someone so brilliant at their craft could be so disillusioned with it. Yet that's what has happened this week in the sport of snooker. Another day of terrorist attacks in Syria. But hey, we're not supposed to call them that are we? Even when they are clearly, by any objective assessment, terrorist attacks that would be condemned within minutes by western leaders if they took place in Tel Aviv or Riyadh or in any other country that was considered a western 'ally'. New interview with me on RT on the latest situation and why William Hague and co have got blood on their hands. HORSE RACING has long been associated with scandals but the news that 11 horses representing the powerful Godolphin operation, owned by Sheikh Mohammed, the fabulously wealthy ruler of oil-rich Dubai, have failed drug tests is arguably the biggest bombshell ever to hit the sport. You can also hear a radio interview with me on this subject, on BBC Radio Wales, here. Item starts at 1hr 22 mins into the programme. UPDATE: Trainer Mahmood al-Zarooni has been warned off for eight years. Tomislav Mitrovic (61), programme director. Killed on the day that NATO bombed a television station for not toeing the NATO party line. More on this (as yet) unpunished war crime here. This feature article of mine appears in the Daily Express. 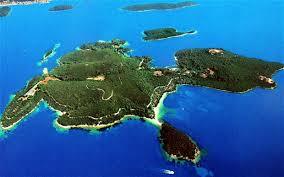 The buyer of the island has been confirmed as Ekaterina Rybolovleva. The heavily forested island has been owned by the Onassis family for more than 50 years and has been very close to their hearts. It was on Skorpios in 1968 that Aristotle Onassis married Jacqueline Bouvier Kennedy, the widow of American president John F Kennedy. Aristotle, who died in 1975, is buried on the island as are his daughter Christina and son Alexander. But now it seems the dream is over. If recent reports are to be believed, Onassis’s granddaughter Athina has agreed to sell Skorpios for £100million to an unnamed Russian billionaire, marking the end of the island’s association with a family who despite their great wealth have known more than their fair share of tragedy. You can read my guide to the first golfing Major of the season here. If you do have a bet on the event, good luck with your selections. A topical piece from the archive: this article of mine on the neoliberal myth that Margaret Thatcher 'saved' Britain in 1979, from The First Post/The Week in 2009. THE TIMES they are-a-changin. After two horses died at last year's Grand National, the Aintree authorities have made further changes to the world's most famous steeplechase in an attempt to make it safer. They include levelling the landing zones at some fences, including Becher's Brook, where the ill-fated Synchronised and According to Pete both came down 12 months ago, changing the make-up of the fences, and moving the start of the race forwards by 90 yards. These changes are not the only things that will be different about this year's race, due off at 4.15pm on Saturday. For the first time live television coverage will be provided by Channel 4, and not the BBC, which has shown the last 52 Grand Nationals. You can read the rest of the piece and my profiles of the 40 runners in tomorrow's race here. UPDATE: What a race- and great that all the horses and jockeys came back safely. I hope that the Guide to the runners proved helpful to those having a bet. Just one day later, winning jockey Ryan Mania had a crashing fall at Hexham and had to be airlifted to hospital. Here's my piece from today's The Week on why, compared to other sports professionals, jump jockeys really are a race apart. This new piece of mine appears over at The Guardian's Comment is Free website. "It would be lunacy and madness for Syrian govt to use chemical weapons"
Above you can watch an interview with me on RT on the very latest developments in Syria. The Titanic is set to sail again. Or rather, Titanic II. Here's my piece from the Daily Express on a truly remarkable venture. IT IS the most famous ocean liner in history. More than 100 years ago RMS Titanic – the largest ship afloat at the time of her maiden voyage in 1912 – hit an iceberg 375 miles south of Newfoundland and sank, leading to the death of 1,502 people. The tragedy has been recorded in books, exhibitions , poetry and films, the most recent being the multi-Oscar winning 1997 version starring Leonardo DiCaprio and Kate Winslet. Now thanks to one man’s bold vision the name Titanic will be appearing on our seas again. A new vessel Titanic II will set out to complete the journey of its doomed predecessor from Southampton to New York. It is due to be launched in late 2016 and will be built in the Jinling shipyard in China. Above you can watch a new interview with me on RT on US foreign policy double standards. More on this story here. Very sad news about the death of Richard Briers. This appreciation piece of mine appears in the New Statesman. Peter Egan, who co-starred with Richard Briers in Ever Decreasing Circles, tweeted that he felt “devastated” by his friend’s death on 17 February. He’s not the only one. It’s rare nowadays for deaths of public figures to trigger sincere feelings of loss and sadness by almost everyone; Briers’s death – like that of his fellow actor Clive Dunn last November –was one instance of this. 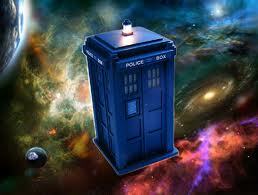 HE was, for many fans, the greatest Doctor Who of them all. The actor Jon Pertwee, who played the intrepid Time Lord from 1970 to 1974, is fondly remembered for the flamboyance and enthusiasm he gave to the role as well as for his sartorial elegance. Yet what was not known until now is that Pertwee, famous for fighting against the Daleks on TV, was a secret agent during the Second World War. "West wants to pour petrol on Syria flame, not water"
Above you can watch a new interview with me on latest developments in Syria for RT. This piece of mine appears in the new edition of The Spectator. To say someone was ‘sweet’ used to be quite common in Britain. We didn’t just use the word to describe our mothers and grandmothers, but a wide range of people, including public figures. But not any more. Public acts of sweetness, such as gently warning people that their shoelaces were untied, are now rare. Sweetness seems to be in terminal decline. Having just celebrated Valentine’s Day, now seems an appropriate time to ask why. Above you can watch a new interview with me on RT on the reasons behind western interventions in North Africa. More on this story here. This piece of mine appears in the New Statesman. Harold Laski, who taught Miliband Sr politics at the London School of Economics, was one of the giants of 20th-century British socialism. A panellist of the anti-fascist Left Book Club along with Victor Gollancz and the Labour MP John Strachey, Laski was the most popular – and most argued-about – public intellectual of his time. As an influential figure in the Labour Party, he played an important role in its landslide victory of 1945. WOOLWORTHS. Littlewoods. Allders. Clinton Cards. And now Jessops. Last week the photography chain became the latest in a growing list of familiar names to disappear from our high streets. Politicians tell us how concerned they are about “saving the high street” but although there have been initiatives aplenty (the Coalition has pledged a £5.5million package of support for 400 high streets in response to the 2011 Portas Review) the situation seems to be getting worse. In November, figures revealed one in nine shops in UK town centres was empty. IT ALL started on a late spring day back in 1979. Delivering his very first Budget, Geoffrey Howe, Chancellor of the Exchequer in Margaret Thatcher's new Conservative administration, announced the government's support for "sales of state-owned assets to the private sector" and that "the scope for sale of assets is substantial". Very few people listening to Howe's speech that day could have envisaged just what the government's privatisation programme would lead to. Or that, 34 years on, we'd be witnessing the wholesale outsourcing to private companies of our probation service, set up in 1907. Privatising the probation service is not about cutting the deficit – it's a purely ideological coalition move.